Historic Tracks in Australia by 4 Wheel Drive. Four Wheel Driving Australia's Historic Tracks. There are a ton of ways to get out and about in Australia. We have some of the greatest beaches in the world, and certainly the largest number of them. We have a sporting culture second to none, endless bushwalking tracks and beautiful weather, which makes going outside a pleasure all year round. We also have some of the greatest 4WD tracks in the world. With such a tiny population concentrated around the edges of this massive nation, virtually the entire interior is available for the adventurer. The early explorers of Australia were the ones who opened up these spaces, carving great paths through the desert in order to transport cattle from one part of the country to another.Though cattle no longer traverse these stock routes, 4WDs have given them a second life. In this list, we take a look at some of the best historic stock routes and highways someone with a well-supplied 4WD and an adventurous spirit can explore. So get out four wheel driving Australias historic tracks. This historic cattle route is one the most famous tracks in outback Australia, stretching from Wyndham to Derby. Cutting through the heart of the Kimberley ranges, Gibb River encompasses sights ranging from crumbling escarpments to waterfalls and freshwater swimming holes. The track passes through a mix of remote cattle stations and Aboriginal lands, traversing a total of 660 kilometers from start to finish. This makes it a moderate length trail that some vehicles will be able to do on a tank of petrol, but the huge number of sights to see along the route means it will probably take you a lot longer that you thought. The wet season, which begins in November and lasts all the way to April, can bring flooding rains and treacherous conditions, and for this reason, the route is closed during this time. If Gibb River is one trip that tickles your fancy, it will have to be one you visit over the winter months. 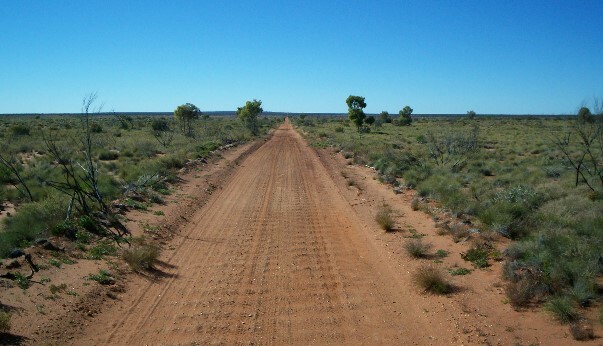 Australia is full of historic roads that were originally created to transport northern cattle to southern markets. None is more famous, or more epic, than the Canning Stock Route. 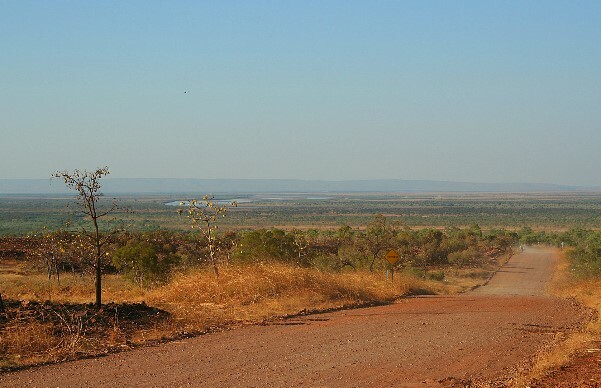 This 2000 kilometre track, the longest historical stock route in the world, makes smaller trips such as Gibb River look like nothing more than an afternoon jaunt to the grocery store. This mammoth 4WD track is for experienced offroaders only, and requires a great deal of skill and experience to safely navigate. Being so remote, fuel is at a premium on the route, as are most other essentials. Travellers would be well advised to make sure their vehicle is stocked with supplies and that provisions are made for the event of a breakdown. Fuel is available at the Aboriginal community of Kunawaritji, but this is the only location along the route where a reliable supply can be found. The track is available for use all throughout the year, but making the trip during the summer months is asking for trouble - June to September is the preferred travelling period. Due to the challenging nature of the route, permits are required for any travelers planning to give it a shot, so get in contact with the relevant authorities before you start packing. This is one trip worth doing just for the name itself. The Gunbarrel Highway isn’t really a highway at all: indeed, it rarely becomes more than a dirt track at any one time. But that’s what makes it so great. Considered one of the toughest, if not the toughest, 4WD tracks in Australia, this is a trip for experienced off-roaders only who just want to be able to say that they’ve completed its 1400 kilometres of gruelling epicness. Constructed in the 50s to provide access for a new meteorological station, the highway was the first east-west road link across the centre of Australia. There are a range of impressive sights to see along the highway, but it’s the experience of the drive itself that holds the real attraction. Washouts, floodplains, ruts and generally harsh desert conditions are the principal terrains you’ll have to traverse, and therefore traveling in a convoy with provisions made for emergency situations and breakdowns is absolutely recommended. Permits are also required before undertaking the trip. The track is accessible all year round, however conditions can get very warm in summer. Planning around the winter months is recommended but not essential. Challenging yet travels able for the average punter, the Birdsville track provides a taste of real four wheel driving without having to bury your car in petrol and supplies. Still, being well provisioned and prepared for the desert conditions you’ll encounter is essential. Unlike the Gunbarrel Highway, the Birdsville Track is a trip undertaken more for its sights than the challenge of the drive itself. Encompassing some of the richest history of the Australian outback, the Birdsville Track has many notable ruins along its route illustrating some of the early history of the area. The journey begins in the outback town of Marree which has fallen on hard times since the closure of its railway system. The town was once a thriving outback hub, but since the tracks were closed in the early 80s it has slowly lost significance. Still, there is plenty of history be found here. From Marree, the track winds over 500 kilometres through the Tirari and Sturt Sandy Deserts and ends predictably in the south west Queensland town of Birdsville. There’s lots to see along the way, including Big Red, Australia’s largest sand dune, which is located not far from Birdsville. You won’t be getting up this monster without a serious four wheel drive or dirt bike; less capable vehicles need not apply. 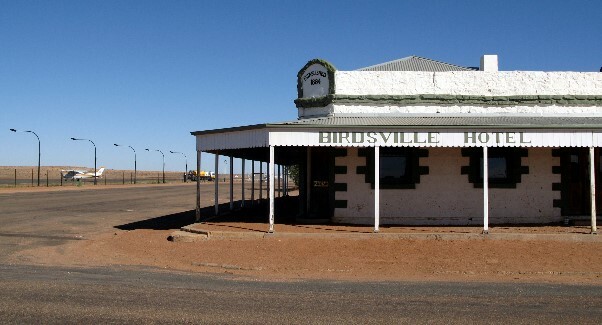 The Birdsville Track can be undertaken at any time of year and no permits are needed. Australia’s droving history may be in the past, but that doesn’t mean it’s entirely gone. With the right equipment, anyone can head out and explore the early history of the nation on these historic tracks. Ensuring you do so safely, with the right preparation and supplies is essential, but if you do you’ll be treated to some of the great scenes of the outback on Australia's historic tracks. 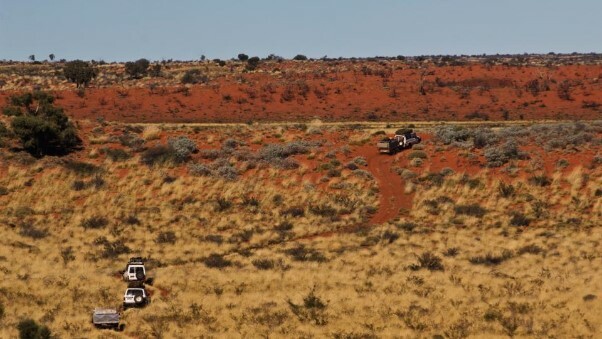 Leave Historic Tracks And Go 4 Wheeling In Western Australia. Go To Your Photos & Stories.